Ninety-four-year-old Frieda Garber has days where her mind can be foggy. But even on bad days, she's crystal clear when she takes part in a program called Songs By Heart at The Kenwood by Senior Star. As soon as pianist Lynne Miller and vocalist Clare Hingsbergen begin to perform, Garber’s eyes light up and she starts to sing along, said her daughter, Ellen Garber. CINCINNATI — Ninety-four-year-old Frieda Garber has days where her mind can be foggy. But even on bad days, she's crystal clear when she takes part in a program called Songs By Heart at The Kenwood by Senior Star. As soon as pianist Lynne Miller and vocalist Clare Hingsbergen begin to perform, Garber’s eyes light up and she starts to sing along, said her daughter, Ellen Garber. Started in Chicago about four years ago, Songs By Heart is specifically designed to make connections with people experiencing memory loss. It’s more than a typical sing-along, said Emily Becker, the program’s artistic administrator. 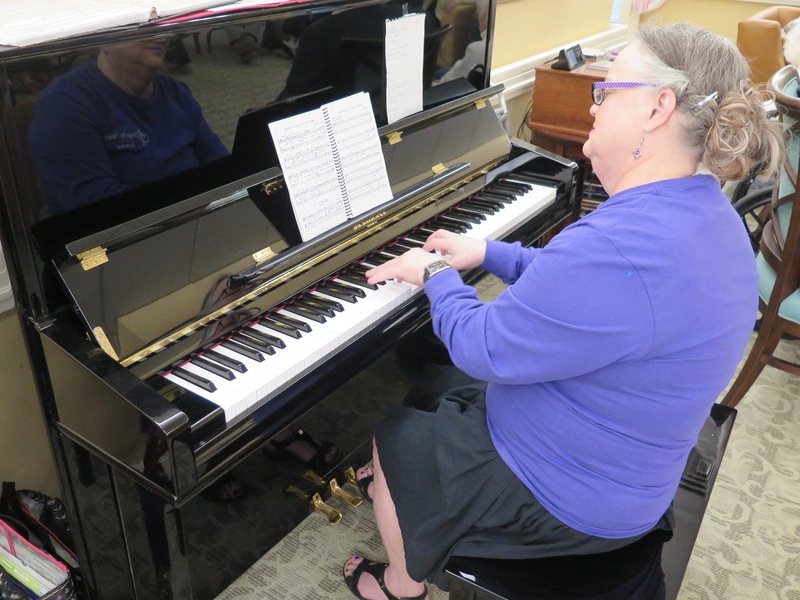 The nonprofit Songs by Heart Foundation has a music therapist on staff who trains the program’s singers in the importance of making eye contact and physical contact with all the program’s participants by holding their hands or touching their shoulders, Becker said. The Kenwood is the only retirement community in the region to offer the program, Becker said. Health services programs and events manager Annette DeCamp said The Kenwood’s staff was sold on Songs By Heart after seeing a demonstration in 2015. 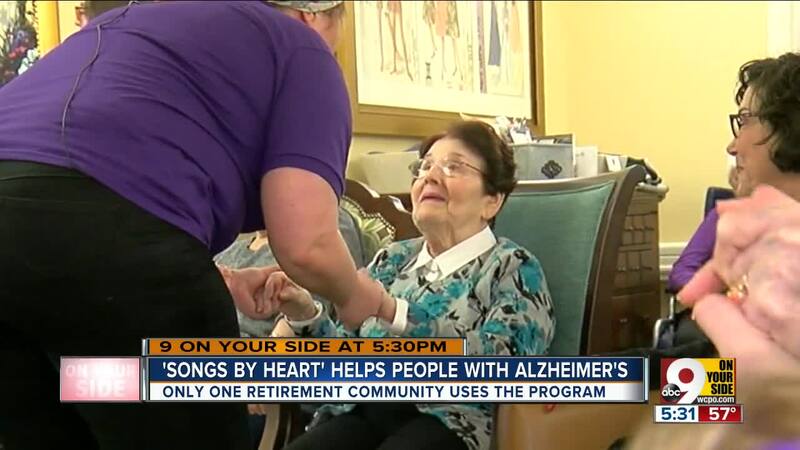 The retirement community has been offering Songs By Heart to residents, particularly those who live in its memory-care units, for about a year, she said. Frieda Garber has been living at The Kenwood’s independent living community for about five years, Ellen Garber said. She used to go to musicals with her husband and is familiar with all the songs that Miller and Hingsbergen perform. Her favorite is “Zip-a-Dee-Doo-Dah,” and both performers remember that from week to week. 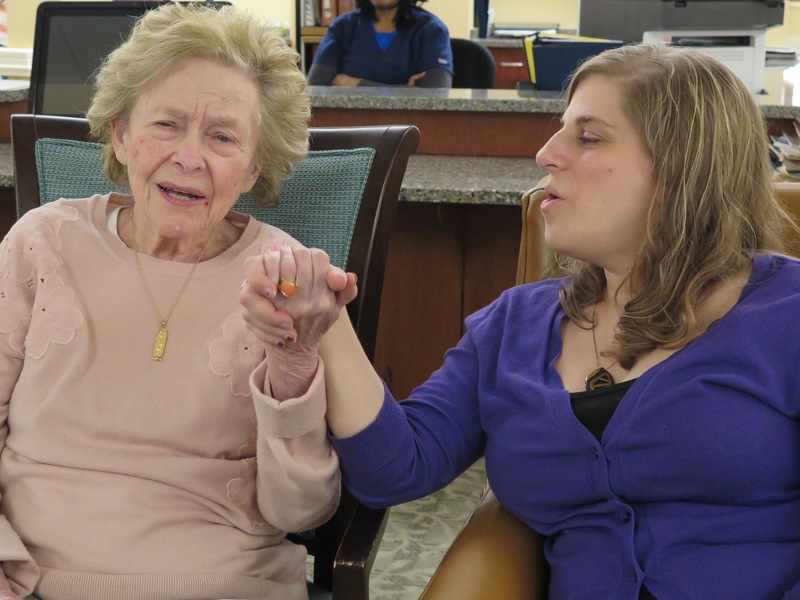 Jill O’Shea’s father lives in one of The Kenwood’s memory care units and also enjoys Songs By Heart. Her 91-year-old father also has a terrific voice and sings along at the top of his lungs, she said. Hingsbergen knows the names of everyone who attends Songs By Hearts each Thursday afternoon and which songs reach them best. One woman, who died recently, would start out grumpy each week but would brighten at the song “Meet Me in St. Louis” because she was from St. Louis originally, Hingsbergen said. Hingsbergen is a professionally trained singer and had to audition for her job as a Songs By Heart vocalist. She majored in communications at Northern Kentucky University and earned a minor in musical theater. She also has a master’s in communication and is passionate about finding ways to help people connect, she said. 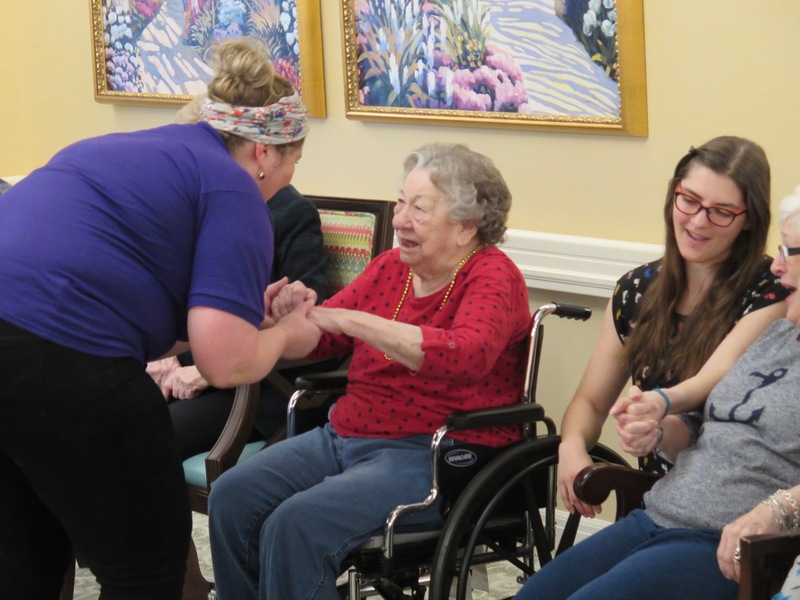 Songs By Hearts is currently in nearly 50 retirement communities in eight metropolitan areas across the country, including Chicago, Washington, D.C., Naples, Florida and Houston, Texas. Becker worked to bring the program to The Kenwood because her grandmother, Bibs Becker, lives there in an independent living apartment. It’s important for all the residents who participate, DeCamp said. After every Songs By Heart Session, Hingsbergen logs which songs meant the most to which people and whether anyone had more of a communication breakthrough than the week before. “We’re really trying to work with them and see improvement,” she said. When Frieda Garber first started attending the program, she would “kind of sing,” Hingsbergen said. Now, Garber sings loudly to each song and locks eyes with Hingsbergen every time. Ellen Garber said she sees that, too. She joins her mom at Songs By Heart whenever she can. More information about Songs By Heart is available online. Families that would like to see Songs By Heart in action can contact The Kenwood by Senior Star. Lucy May writes about the people, places and issues that define our region – to celebrate what makes the Tri-State great and shine a spotlight on issues we need to address. To reach Lucy, email lucy.may@wcpo.com. Follow her on Twitter @LucyMayCincy.